In today’s world web application become popular due to the many reasons such as its interface and way of designing the application. 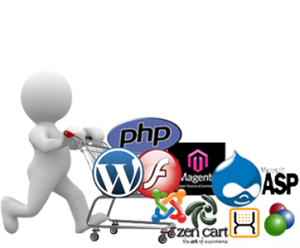 The concept of Custom web application development is famous among the business software. The web application shows the excellent picture of your business, product or services in a very informative manner. There may be the risk of the web development software in short we can say that there are many levels of risk in web application development because this application runs on the internet. In today’s web development there are various technologies such as Ajax, Active server page (ASP), ASP.Net, CSS, Java, PHP, python, HTML5, Xojo and many more. For developing the application on web we need some skills like above mentioned technology. The overall development of the web application depends on the changes made at the time of implementation. The software which is developed under the web need some type of platform for executing it. Custom web application development is one of the process in which we are implementing the web application. While implementing the web application we have to go from the many life cycle model of web development. Custom web application development, we come to know the three things they are extreme programming, scrum, time box development and feature driven development. Once the web application is developed it goes from many testing parts. Testing is one of the parts of the software which decide where the web app is working according to its functionality. In this testing there are unit testing, integration testing, and system testing, which is used for the traditional web application. This is the basic testing, which is done on the web app, but there is more need in terms of testing from the client side. There is more testing in terms of client need they are Security, HTML and CSS validation, accessibility, usability, cross browser. This testing is based on the automated testing. While implementing the web application we test the app at component level and in this ‘xUnit packages’ is a useful tool for testing the app. One of the crucial parts of the Custom web application is Graphical user interface (GUI) for this purpose, we use the ‘watir’ or ‘iMacros’ is a useful tool. In most cases for ASP. NET a developer can make use of Microsoft visual studio for writing the code of web app. But most of the programmer can use the text editor for writing the code. Custom web application development is to be customized web app development depends on the vision and requirement of the client. The aim of the client in higher product it should be able to maintain the information in an effective manner, decreasing the cost and it should be smooth in the functioning of the business process. While developing the web app we should keep the following things in mind they are Software requirement specification (SRS), project plan, functional prototype, web app implementation, testing as motioned above, technical support, and maintenance. While implementing the web app making the reuse of the code decreases the complexity of the web software. When the process of developing the web app starts it should meet the need according to the specification of client. The developer understands the business objective and goal of the client to achieve the high product with fewer bugs. The main theme behind developing the Custom web application is to produce the scalable app with easy reusability. If they develop a higher quality of web application, it is beneficial for the client as well as for the company. In short the web application is developed for the internet application for easy access and understandability of the end user. In terms of tool the web application needs various tools for its implementation due to which web app become efficient. For Java language there are various tools in which Apache Tomcat is the best one for Java service there are Web ORB integration server. Many code generation equipment tool such as nu Builder, m-power are needed for the automatic implementation of code by making the use of such tool the non technical person can make excellent coding in a web app. 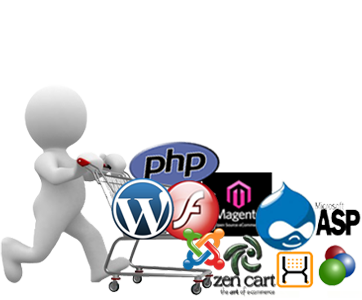 Therefore the Custom web application development plays the important role in the world of internet.